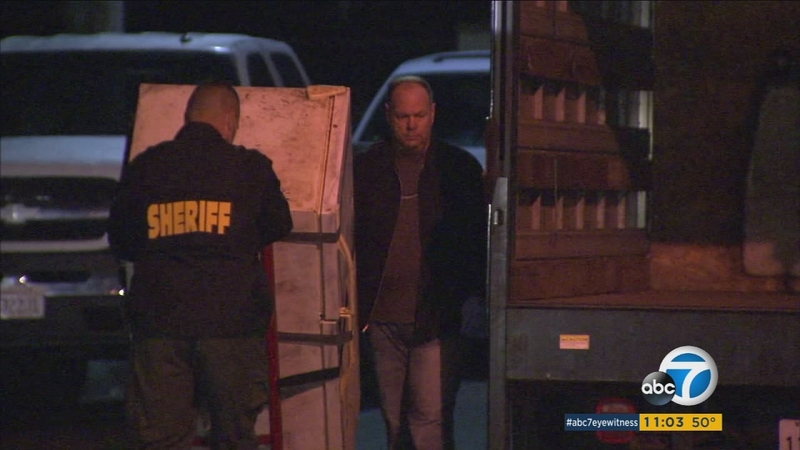 Investigators remove a refrigerator police said the remains of a woman were found in at a Santa Ana home on Thursday, Dec. 17, 2015. SANTA ANA, Calif. -- Police have identified the body of a woman found in a Santa Ana, Calif. refrigerator on Thursday. The body is that of 50-year-old Ricarda Reyes-Villalobos of Santa Ana, according to police. Officials said the body was found in the garage of a home in the 1000 block of North Jackson Street at about 2 p.m.
Detectives found the couple who had rented the garage and said they were now living in Garden Grove, Calif. The couple identified Villalobos as a relative and claimed they were the caregivers for her, according to police. The couple said Villablobos died in August of 2014, but they did not report her death because of their immigration status, according to police. The Orange County coroner performed an autopsy on Tuesday and found no signs of trauma that would indicate the cause of death. The official cause of death is pending a toxicology report, police said. Police said the case will later be submitted to the Orange County district attorney for possible criminal charges.